UPDATE: To take advantage of the sale, simply enter the discount coupon code PARTY18 at checkout. Take note: it will only work with a minimum spend of $75. 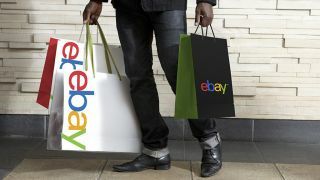 It's hard to remember a time before eBay, the online marketplace that kicked off a retail revolution with its arrival in Australia exactly 18 years ago. To celebrate this momentous occasion (it's not every day that a website enters adulthood), eBay is throwing a massive sale that will see every item on the entire site receive an 18% discount. To take advantage of the huge deals that are sure to be on offer, you only need to visit eBay between 6pm (AEST) and 10pm tonight. As many items are likely to sell out fast, we suggest pre-loading your prospective purchases in a browser window and then refreshing the page as soon as the sale starts. Tonight's sale wasn't the only thing eBay had to announce today, with the online juggernaut also revealing that it's bringing image search functionality to its iOS and Android app early next year. If you're out and about and see an item you like but don't know what it's called, you only need to whip out your phone and take a picture of it and the eBay app will provide you with the most similar items it can find. eBay also announced a new function called 'Find it on eBay', which will allow users to upload images found on social media and other websites directly to the app in order to find listings of visually similar products. Both features artificial intelligence and machine learning technology, so expect the functionality to get better the more you use it. Along with these features, eBay has also introduced eBay Guaranteed Delivery, which will allow you to filter listings by the quickness of their delivery.